Palestinians are calling for an academic boycott of complicit Israeli universities due to their key role in justifying, planning, implementing and maintaining Israel’s system of oppression, including land theft, the brutal siege and ongoing attacks on Gaza, and apartheid laws. Today, as Palestinians mark Land Day and one year of Great Return March protests in Gaza, we know that, just as in South Africa, Israel’s apartheid regime will ultimately collapse under the combined weight of people of conscience united with Palestinians in our struggle for freedom, justice and equality. 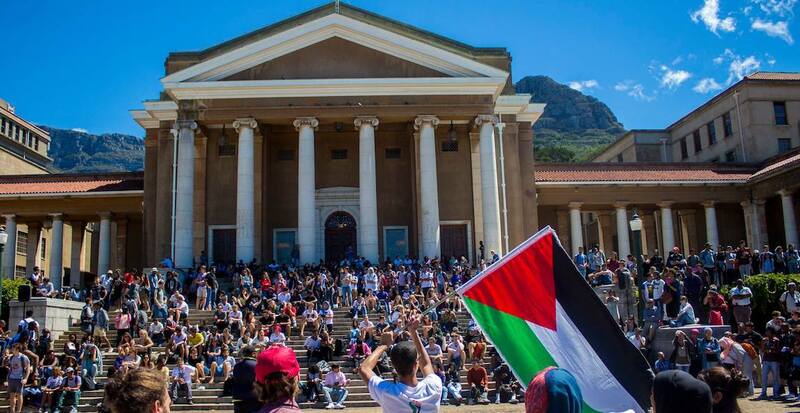 We thank the UCT Palestine Solidarity Forum for their tireless efforts. We urge academics around the world to work to ensure academia does not enable, directly or indirectly, Israel’s oppression of Palestinians.